A wet cold day it is and the Old Girl wants to leave shortly to go to the Bugsmasher Field. Apparently the Nattering Nannies want to wash/clean and arrange the kitchen cupboards and a few other things. I started this new Post from my previous post 3 Monitors and Questions. I now have All 3 Monitors up and working. 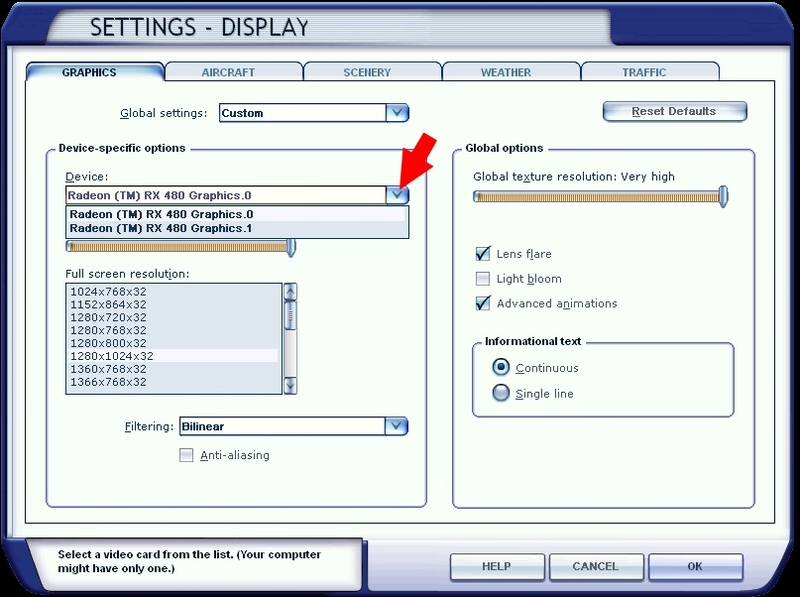 Am using FSX Deluxe with Acceleration and Windows 10. It seems I can only use 2 Monitors at a time. 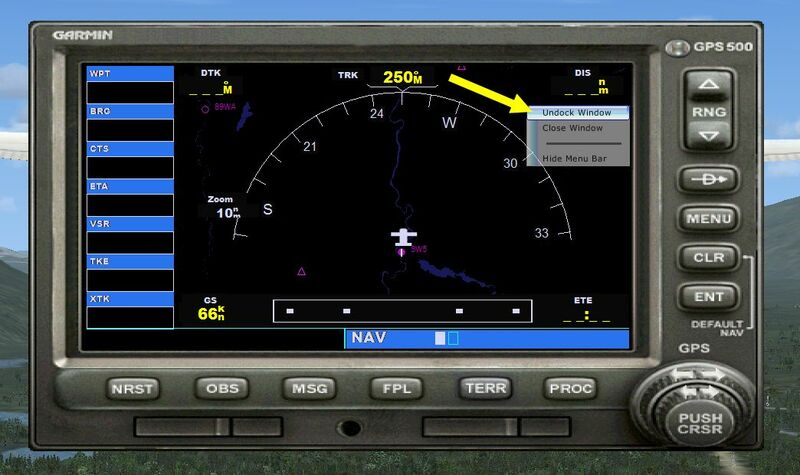 But when Plan G is in Monitor 2 or 3 I can't move the GPS, Autopilot or Radio Stack (Radio Stack which can be brought up in Plan G) OFF of Monitor 1. Not sure what I have or have not done. 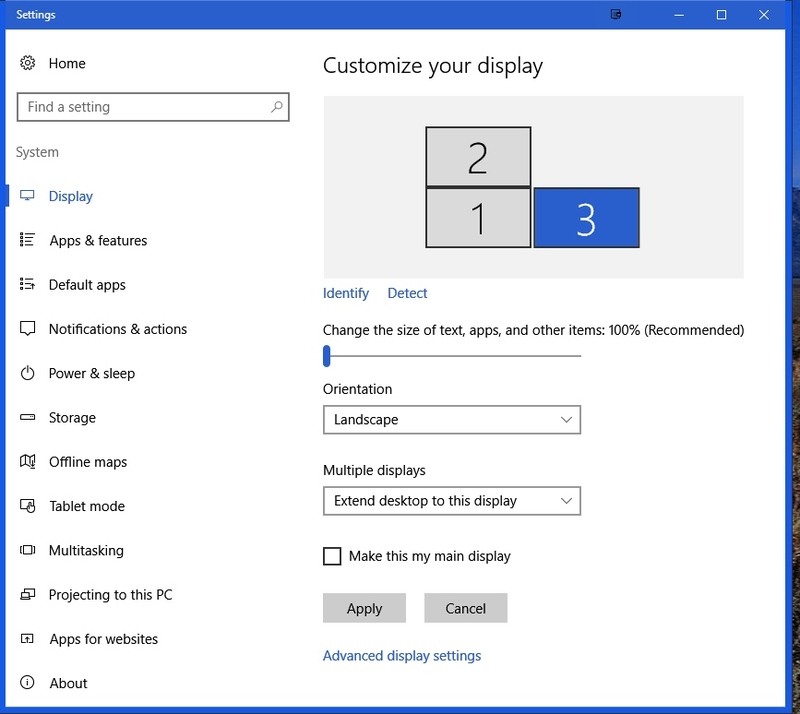 There are two ways to use multiple monitors in Windows. The easiest is to "Extend" the desktop to the new monitor, which is probably what you did. Unfortunately FSX has a hard time using more than one screen. 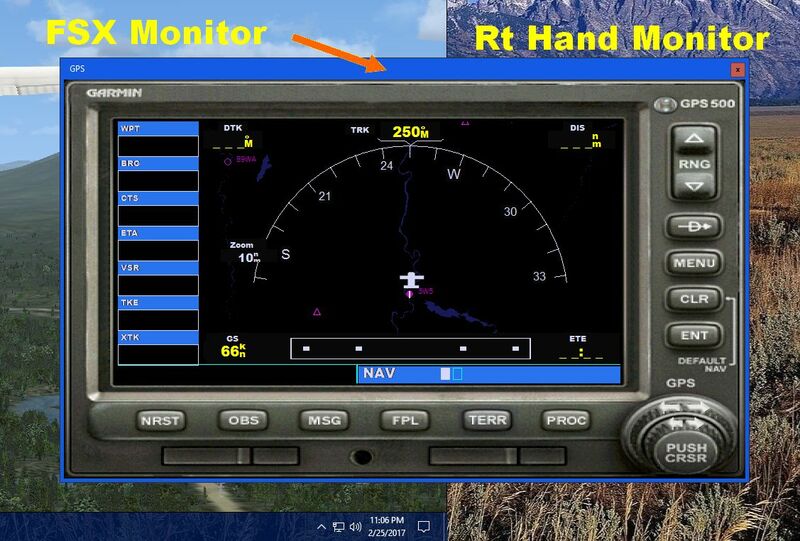 Here's thee "Extended" monitors with FSX running in "borderless" mode on the middle monitor. The other way depends on your graphic card. I've been using AMD Eyefinity cards for a long time because they made it extremely simple, not to mention cheap, to use multiple monitors. 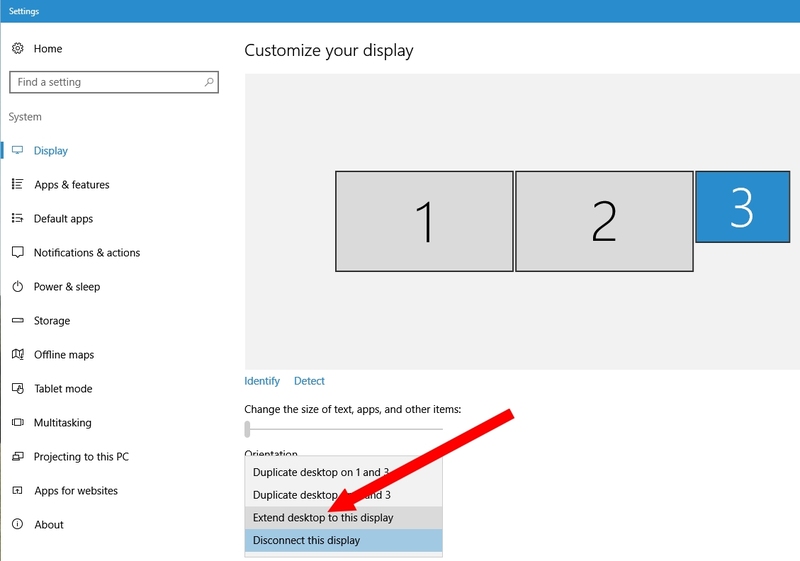 Under Eyefinity you can merge from two to six monitors into one single monitor, at least as far as Microsoft Windows knows. After you create a "single" monitor out of three monitors, FSX is very happy filling it up. I don't know if NVidia has a similar function. I do know that there are other ways to make FSX cover two or more monitors, but I've never needed to do it. For me, the best way to use FSX on multiple monitors has been to switch to Prepar3d. You just have to commit yourself to use Prepar3d to learn "something". LM doesn't make it all that clear what you have to learn. And they do state that you can learn in the comfort of your home. Me, I like to "learn", and practice, simple navigation. Seriously, I think that it's fun. To make it simple for me, I'll use two monitors. This is what Prepar3d and Windows see on two "Extended" monitors. You, of course, will have a bezel dividing the screens, so this is what you'll see. Now the way to make Prepar3d span two or more monitors is to place the Prepar3d window so that it's stretched across all of the monitors. Again, this is just two monitors. If you had three monitors, you'd have to stretch that window so that it had a portion in each of the monitors. If you had six monitors, you'd stretch the basic Prepar3d window across all of them. You don't need to fill all of the monitors, just have a portion of that window in each monitor. OK, OK. Here's a three monitor view.
. . . . . .Any time, any plane, any weather. "Extend Desktop to this Display"
"Like I said the problem is I can only get two Monitors to show what I want them to show at one time..."
What is showing on the two monitors that are working corectly? What is showing on the monitor that is giving you problems? Can you move anything over to it even if it has nothing to do with the flight sim? Is your layout in "Display settings" like this? 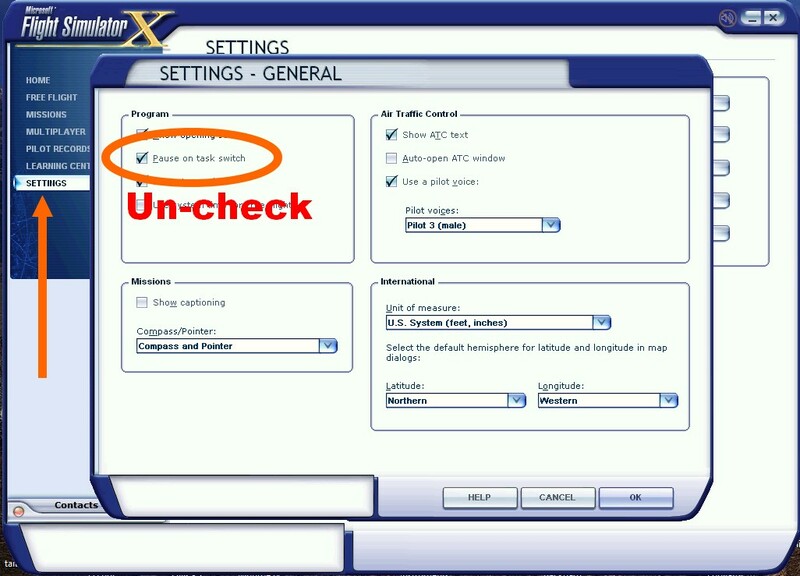 Also, what are yout FSX settings? 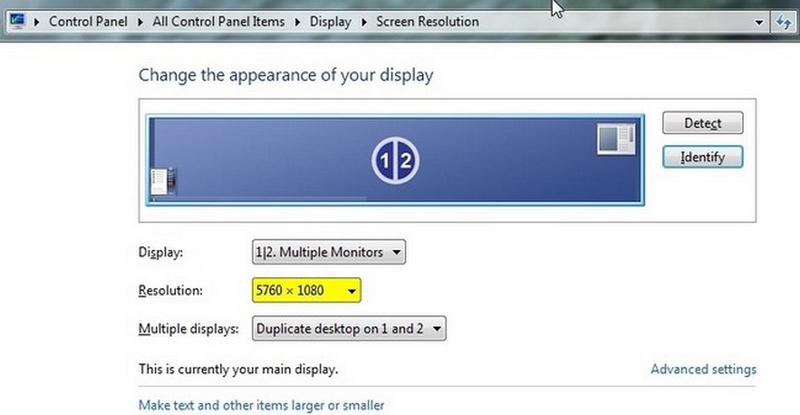 One last thought - can you press the PrtScn key to take a picture of your entire monitor layout? Depending on you picture/graphics program you may, or may not, be able to past it into it. For example this shot shows how Windows "sees" my monitors in relation to each other. I can move this Screen "Simviation" to every Monitor no problem at all. 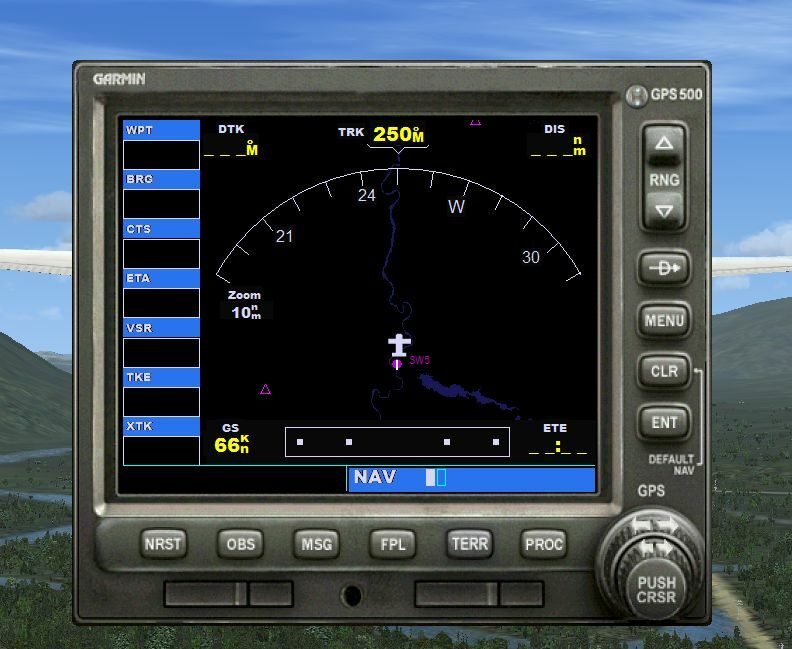 When in simulated flight and I want to move the GPS to the monitor not being used it will not leave the main screen...stays in the simulated flight screen just like the Radio Stack does. I want 3 different things on a different monitor while in simulated flight...funny how Plan G can be moved. Can't get GPS or Radio Stack to move to another monitor when Plan G will, the Simulated Flight will and Simviation will. OK, not a problem. Nothing wrong. This will apply to almost all popup instruments in FSX/P3d. Here's a standard GPS. Notice no window frame around it? Now, right click anywhere on the instrument and select "Undock Window". You'll now have a moveable instrument that you can drag to any monitor. Going to check this out right now. It works...have everything I need right now working and working Great. I notice when I click on something in Plan G and it does not matter what it is, the Flight Simulator will PAUSE the simulated flight. 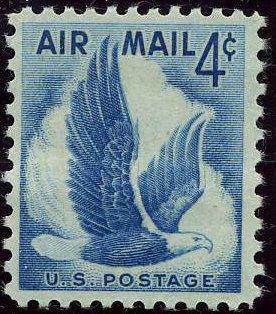 Sometimes hitting the "P" Key will Resume the simulated flight and other times it won't. Having used only one monitor for so long there are a number of things that people just never needed. But I think that you're now ready to enjoy the great benefits of multiple monitors.